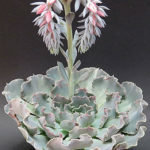 Echeveria shaviana is an attractive succulent with short-stemmed rosettes up to 8 inches (20 cm) in diameter. 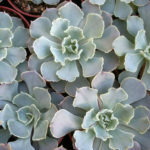 The blue-gray leaves have very wavy, crinkled margins that take on a pinkish tint if grown in bright light. Stems of pink flowers with yellow centers appear in late summer. USDA hardiness zones 9a to 11b: from 20 °F (−6.7 °C) to 50 °F (+10 °C). 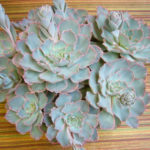 Most of the common Echeveria species are not complicated succulents to grow, provided you follow a few basic rules. 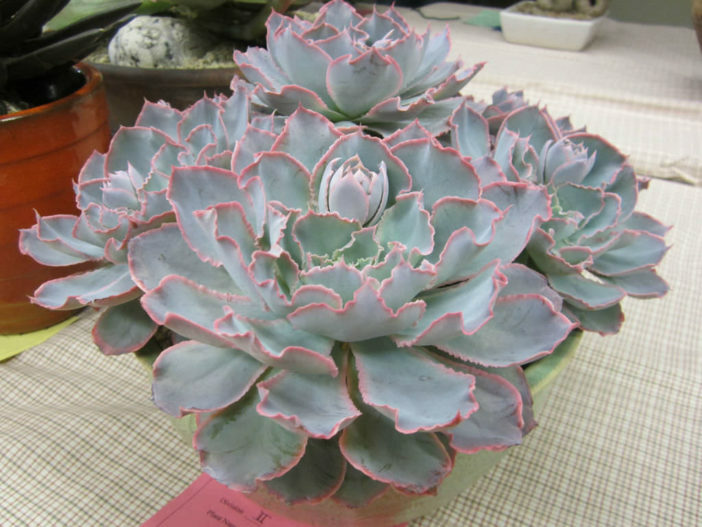 First, be careful never to let water sit in the rosette as it can cause rot or fungal diseases that will kill the plant. Additionally, remove dead leaves from the bottom of the plant as it grows. 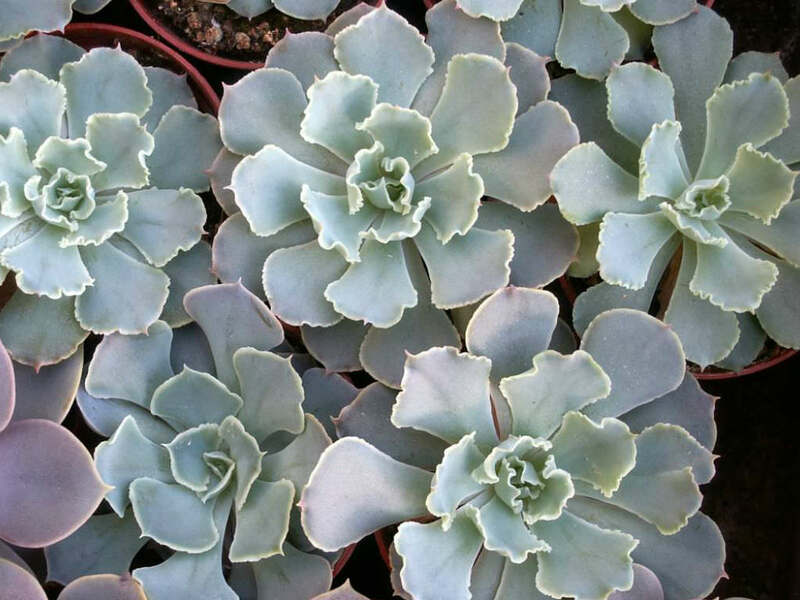 These dead leaves provide a haven for pests and Echeverias are susceptible to mealy bugs. 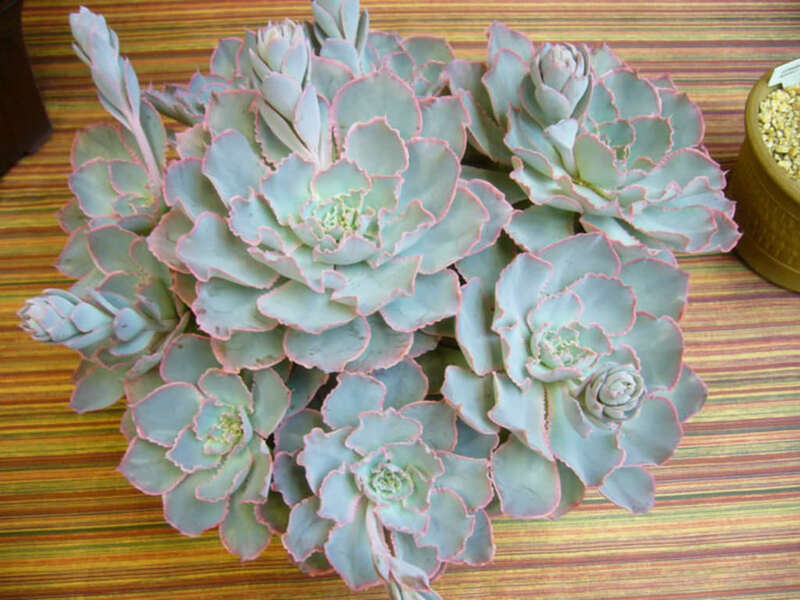 As with all succulents, careful watering habits and plenty of light will help ensure success. 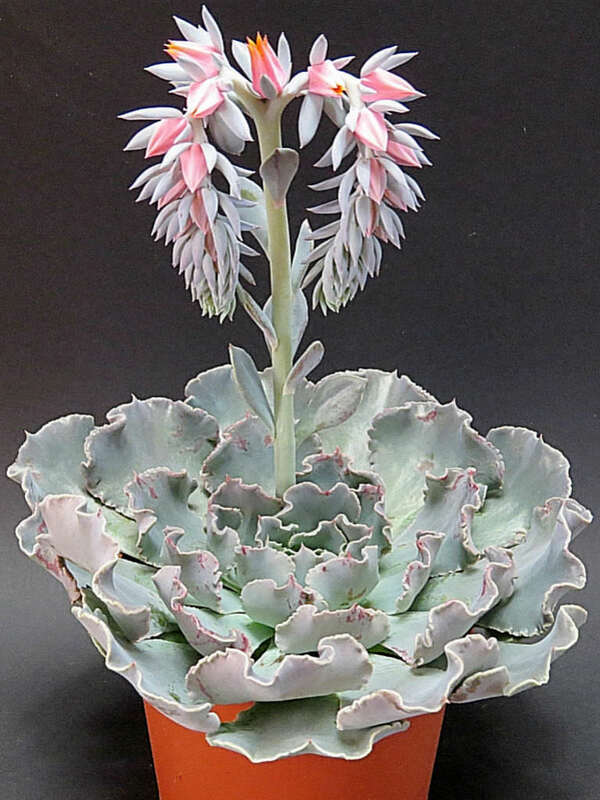 Echeveria shaviana is native to the mountainous areas in northern Mexico (Tamaulipas, Nuevo Leon).